The old vacuum is certainly effective, but it is big, cumbersome and lives in a cupboard, while the new one is cordless, light and slots onto a little stand for recharging. 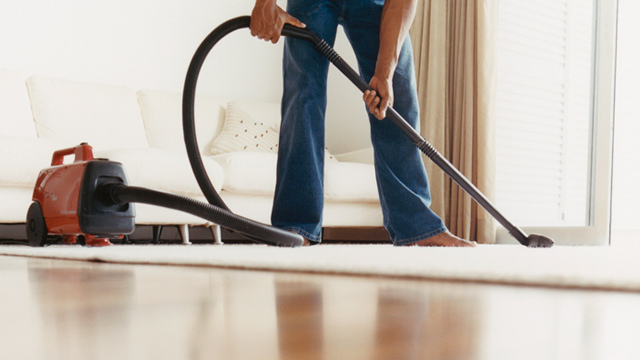 You can simply pick it up, vacuum up what you need cleaned up and pop it back with absolutely zero fuss. Since this little vacuum entered my home, I think I vacuum at least ten times as much as before! Why? Because it’s fuss free, it requires so much less effort to use and (most importantly) it’s visible! This is one example of how small changes to your surroundings can change your behaviours (and even your thoughts about particular situations). In this case, I’m still the same person, but my behaviour changed purely because it was now easier for me to complete the task. Previously, once I actually dragged out the old vacuum I was often surprised about how quickly and easily I completed the task and wondered why I put it off for so long, but then proceeded to follow exactly the same pattern of thoughts and procrastination each and every time. I broke that pattern by changing something, Any change, however small, can lead to a breaking an unhelpful pattern of thoughts and it’s these small changes that play a part in setting yourself up for successes, rather than repeated failures. – If you have more racing thoughts at night, then keep your journal by your bed rather than in a different room. – If you are struggling with snacking on sweets at work, keep them off your desk and away in a cupboard – having to walk to your cupboard can be hard compared to reaching into a drawer at your desk! – If you are finding that time escapes you, take a minute to make a plan and schedule time for yourself. Even committing to paper (and no one else!) can be enough to make it real. – If you always have a bag of frozen vegetables in your freezer, you’re more likely to add them to meals rather than avoid spending time prepping fresh ones. It’s human nature to do what is easiest – it’s not a moral failing or character flaw! Your environment can significantly impact your choices, your behaviours and your thoughts – so set yourself up for success and make that environment one that works in your favour rather than against you.